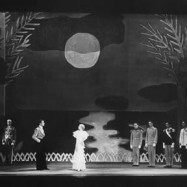 The musical, historical, and cultural influences that contributed to the development of the Broadway musical. No one person created the musical. It evolved over time and incorporates a variety of influences and elements. Operetta was tailor-made for the tastes and habits of the turn-of-the-20th century consumer of refined amusement. 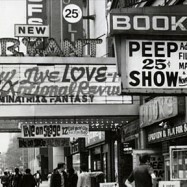 In the years between the world wars, nothing on Broadway catered to Manhattan nightlife like the revue. By the early 1930s, the theater capital and the film capital of America were separated by an entire continent. 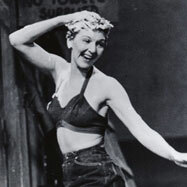 As the 1930s wore on, political satire on Broadway became more, rather than less, popular. 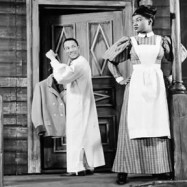 The number of black performers in plays and musicals on Broadway in 1946 was more than five times the number before World War II began. 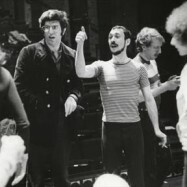 Throughout the country in the early 1960s, the issues of civil rights were in the news and on television nearly every day, but mostly absent on Broadway. 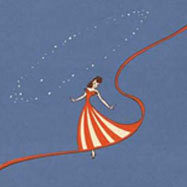 Beginning in 1954, a schism grew between Broadway and commercially popular music.